“A woman is like a teabag: You never know how strong she is until you put her in hot water,” says the proverb often attributed to Eleanor Roosevelt. 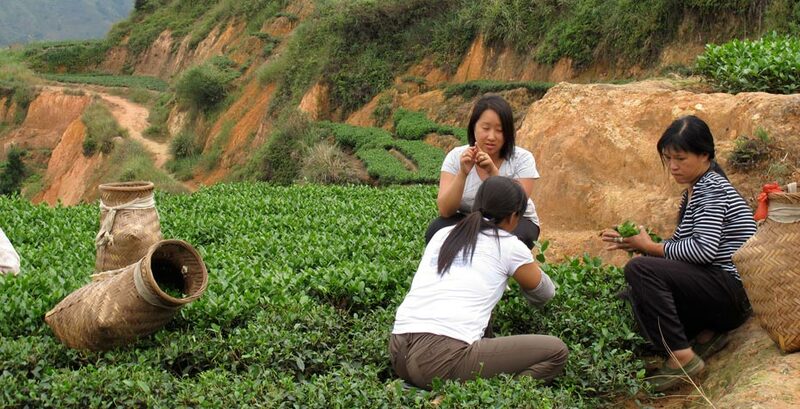 For Charlene Wang ’03, tea itself has become a way to empower women in difficult circumstances. Her Beijing-based luxe tea business, Tranquil Tuesdays, has become a premiere provider of the world’s most popular beverage as well as an exemplary social enterprise that has been featured on CBS Sunday Morning, Audrey, CCTV, Beijing Television, and Time Out Beijing, among others. When she first came to Wellesley from Fountain Valley, Calif., Wang became interested in global women’s issues, and took classes on the subject across disciplines from anthropology to economics. In an economics course on women, class, and gender, “Julie Matthei also opened up a whole new perspective of thinking in terms of defining and redefining value and work within the business context,” said Wang, and “I think about the concepts from Professor Roxanne Euben's Feminist Political Theory regularly in my work now.” As a student, she also maintained her childhood passion for good tea: Wang describes on the Tranquil Tuesday website how she procrastinated on final exams by shopping for loose-leaf tea samples online. When the Foreign Service took her to China, Wang established a ritual of observing “Tranquil Tuesdays” with a friend, taking time once a week to relax, rejuvenate, and enjoy a good cup of tea. Then, “I had this moment in Beijing,” she said, “where I realized I could combine my passion for tea and career aspirations of working on women's empowerment in a social enterprise together.” Over time, and with the encouragement of her entrepreneur husband, Wang decided to leave her career as a diplomat and pursue her dream full time, and in 2010 established the organization she named Tranquil Tuesdays. Tranquil Tuesdays sells distinct and proudly Chinese tea and teaware. Teas are sourced from small family-owned tea farms, which Wang and her team visit periodically throughout the year, and the teaware is designed and handcrafted exclusively for the company. To run the business, Wang partners with NGOs and other Chinese social enterprises to offer disadvantaged women meaningful employment and long-term skills training.